Where In The World Are Triumph Motorcycles Made? Ever asked yourself “where are Triumph motorcycles made?” Then this article is for you. Triumph runs a couple of factories around the globe. The company owns all these plants and runs them according to world-class standards. Two of these Triumph factories are in Hinckley, UK a couple of minutes away from the Mallory Park race track. The other three are in Brazil, Thailand, and Chonburi. 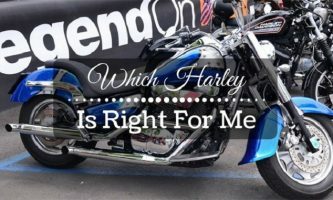 To better answer the “where are Triumph motorcycles made?” question, you need to understand the history of the manufacturer. That said, Triumph ranks among the most iconic of names in the motorcycling industry. This British marquee has gone to great lengths to brand itself into the collective rider consciousness. Their seminal bikes – such as the Thunderbird and the Bonneville – as well as a bit of help from Hollywood have helped it grow on the world stage. 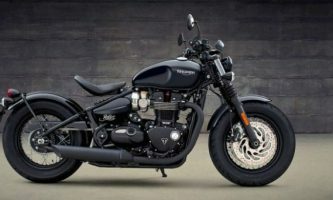 Triumph’s lore and history make it superlatively easy for people to forget the fact that the reincarnation of this company is Triumph Motorcycles Ltd – a relatively young firm a couple of decades old. The new-age Triumph is one of the greatest examples of brand rebirth, particularly in the bike industry where age and history matter. The company is a reliable British brand while remaining global in its operations and outlook. Although Hinkley is the main base of operations, for instance, there are three other manufacturing facilities in Chonburi, Thailand. The first of these made chassis components (swing-arms and frames) and fuel tanks. The second factory fabricates bodywork and plastic parts through injection molds. It also has an active assembly line. Triumph moves maturing model lines abroad for final assembly. Last but not least, the 3rd facility casts engine parts, like camshafts, crankshafts, cylinder heads, and cases. To control the quality of its foreign production bases, Triumph has a dozen Britons managing the factories. The workforce is boosted by other workers to form a total of more than 1,500 actively engaged employees around the globe. Most of them are rotated back to Hinkley to undergo cross training. Q: How Long Does Triumph Take to Create a New Motorcycle? A: The time span varies from one model to the next. However, the development and design stage of a new bike takes anywhere from 3 to 5 years from conceptualization through to delivery. Q: Does the Company Export Bikes? A: Triumph has around 750 dealers across 35 countries. 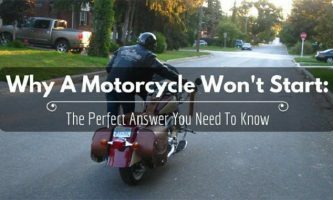 Close to 80% of the motorcycles are sold outside the United Kingdom because the world loves Triumphs. Q: Does Triumph Plan to Release New Models? As much as Triumph would like to inform the world about everything they have in store, they can’t disclose details about the exact models it intends to release into the market. However, you should stay tuned by following the company because it certainly has big plans to add to its range of products in the coming years. As a one-man project, Triumph was recreated by John Bloor. Today, the brand has made a name for itself on account of the key features that differentiate a Triumph from another model. From the onset, the company has always strived to manufacture high-tech bikes for the contemporary biker. As such, the bikes are classically British but with modern, reliable technology. For instance, the fuel injection system is so advanced that it has faux carburetor coverings as well as a push rod concealing the camshafts. Today, Triumph is the largest motorbike manufacturer that is wholly British-owned still in existence. Even as Triumph continues retaining the classically old-world charm typical of the brand, it keeps churning out highly reliable bikes into the market. Excellent examples include the improved naked Speed Triple, the Street Triple, and a capable line of adventure bikes. Triumph always seeks to match/exceed any motorcycle that costs up to 113 more than their products. 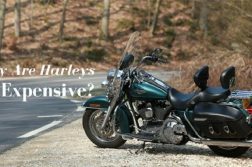 As such, the company can effortlessly match up – bike to bike – with competitors like BMW but at a significantly reduced price tag. In the same way, the bikes created by Triumph typically handle better than those made by competitors. Triumph has honed continuity in its history and culture. The company has, more or less, continued in its tradition of churning out high-quality bikes going back to when it came about in 1902. Although it only saw a revival in the early 80s, the manufacturer still maintains the excellent fit, finish, and engineering of the original models. The triple cylinder engine makes a real difference for every Triumph that hits the market. The general feel of the motorcycle range is second to none. The style, balance, and retro looks of Triumphs make them feel stable without the flashy trinkets typical of some other brands. Unexpectedly, all the modern bikes in the Triumph range will crank out 80 ponies and 77+ pounds of grunt even under the traction control and ride by wire throttle of the design – making for a thoroughly contemporary ride through and through but also with a dated curb appeal. Hollywood, as well as innovative design, has contributed to the popularity of Triumph motorcycles. Celebrities like Evel Knievel, Marlon Brando, and Steve McQueen made it cool for people to ride Triumphs. The answer to the “where are Triumph motorcycle made?” is more comprehensive than one would assume. Apart from the different locations around the world where the different parts undergo manufacture and assembly, the company also goes out of its way to target the global consumer while remaining authentically and undeniably British in design and aesthetics. Before the Bonneville range hit the market in 2015, for instance, there was a lineup comprising 30+ Triumph models. 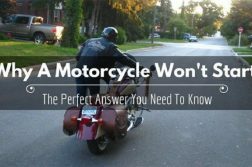 All of these bikes covered a significant portion of the total motorcycle market. 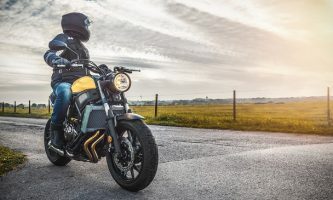 Today, the company is still clear about its ambitions and the products it releases – never forgetting the small-engine offerings, the scooters, and superbikes within its broader scope of focus. Other interesting finds from this collection include the Scrambler and the aging Sprint GT, the Speed Triple and the Bonneville. Among the lesser known models is the Daytona 675. Over and above everything else, there is more to Triumph than meets the eye. 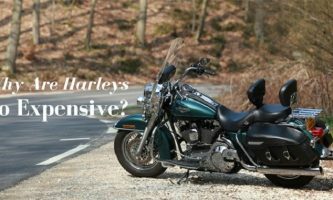 Although the product range is as comprehensive as one would expect from a company of its size, the release of bikes into the market undergoes substantial vetting by the owners. By so doing, Triumph ensures that only the best of the best from its production line ever get to the everyday biking enthusiast. 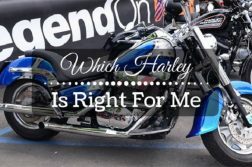 Is it any wonder that Triumph motorcycles are highly coveted prizes in the rider community?